The recent efforts of Public Eye have significantly improved public understanding of a variety of topics of significance to the public policy community. Newly available commercial high resolution imagery has clarified a number of important questions in the field of non-proliferation. North Korea's long range ballistic missile program evidently rests on a surprisingly modest infrastructure. The missile tests conducted to date [one each in 1993 and 1998] have provided more diplomatic leverage than operational military potential, and existing test facilities would probably require expansion to support a more extensive test program. Pakistan evidently regards North Korea's Nodong missile as a work in progress rather than a finished product, as demonstrated by the construction of missile testing infrastructure at Kahuta. Conversely, Pakistan's nuclear and missile programs are rather more elaborate and sophisticated than previously suggested in the open literature, calling into question the Clinton Administration's objective of de-nuclearizing the sub-continent. Although surely this information was previously known to the classified intelligence community, it has only been through the use of high resolution imagery that this understanding was introduced into the public discourse. During the Cold War, satellite imagery had both stabilizing and de-stabilizing influences on the Soviet-American arms race. In the long run, satellite intelligence was ultimately regarded as making a stabilizing contribution to confidence building and arms control. The question of whether the pervasive commercial availability of high resolution satellite imagery will prove equally stabilizing remains unanswered. It is evident from initial experience, as demonstrated through the Area 51 campaign, that competitive market forces will drive imagery providers to improved products and services. It is equally evident, from this same campaign, that the timeliness and predictability of commercial imagery remains vastly more useful for stabilizing peace-time strategic intelligence than for potentially de-stabilizing wartime targeting. New commercial imagery, supplemented by declassified historical imagery, is a powerful tool for the non-governmental public policy community. Aerial and satellite imagery revolutionized the classified intelligence community four decades ago, and it promises the same revolution for the public policy community. Satellite imagery of previously inaccessible facilities transforms facilities that were previously little more than names and dots on a map into actual places. Imagery provides a wealth of detail concerning the actual characteristics of facilities that has dramatically enhanced public understanding. Imagery, in conjunction with careful analysis, provides the opportunity for non-governmental organizations to make news - rather than simply shape news. The new knowledge derived from imagery enables the public to critically evaluate government policies, and credibly suggest alternative courses of action. Empowered by this new source of information, public interest organizations and the public generally can become more effective and influential participants in the formulation of national policy. Over time, high resolution satellite imagery will become an increasingly integral component of the public policy process. Precedents for this development include the various implementations spawned by the advent of the internet over the past five years, and previous new information technologies from the printing press to the photocopy machine. However, as with these other new information techniques, the innovation process will be neither automatic nor instantaneous. Although the advent of high-resolution satellite imagery has been long awaited and much heralded, in practice it has turned out to have attributes rather different from those imagined in theory. The intelligence cycle is conventionally partitioned into tasking, collection, exploitation, and dissemination - figuring out what you want to know, collecting it, figuring out what you have gotten, and informing others about your findings. Until January 2000, the fundamental roadblock was evidently collection, a problem apparently solved by the entry into commercial service of Space Imaging's IKONOS satellite. Traditionally, exploitation was regarded as the next great challenge for public imagery intelligence, as it was assumed that the arcana of photographic interpretation would baffle the public policy community. The prior theoretical literature has given little if any attention to tasking and dissemination. In practice, tasking has proven the greatest challenge, closely followed by dissemination. While collection is now at long last at least possible, collection management remains a complex process. Surprisingly, of the four components of the intelligence cycle, exploitation has proven the least worrisome. It has not proven particularly difficult to figure out what is in an image, once the image is in hand. Figuring out where to point the satellite camera [tasking] has proven vastly more difficult than foreseen in the prior literature, and the simple mechanics of preparing the imagery for public display have proven distressingly time-consuming and complex. The intelligence cycle is inherently iterative, each step interactively building on the prior iteration. Conventionally, the process starts with tasking - identifying the information that is to be collected. Tasking includes both identifying key intelligence questions - the most important puzzles of the day - as well as the new data that is most likely to help solve these puzzles. Over the past two decades the public arms control and non-proliferation community has developed a rich knowledge base covering the primary facilities involved in nuclear, missile, and other special weapons programs around the world. During the Cold War, the national security community was primarily concerned with Soviet and American delivery systems, the missiles, bombers and boomers that were the subject of arms control agreements, and the potential instruments of instant annihilation. With the end of the Cold War, the attention of the public policy community increasingly shifted to the nascent or emerging special weapons capabilities of a much broader list of countries. With this shift in focus came a parallel shift from delivery systems to facilities, since in most instances the countries of new concern had development and production facilities, but not the diverse delivery systems of the superpowers. Across the entire range of the non-governmental public policy community, researchers and organizations working on non-proliferation are the most likely to immediately benefit from the new availability of high resolution commercial satellite imagery. Nuclear and missile facilities are one of the primary units of account in the non-proliferation field, and unlike the subjects of many other public policy fields, these facilities are visible, large, and fixed. By the end of the 1990s, the public non-proliferation community had apparently achieved a reasonably complete inventory of the principle locations associated with at least the nuclear weapons programs of countries of proliferation concern. 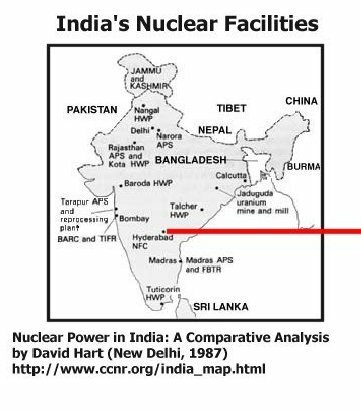 Apart from a few nagging questions [such as the exact whereabouts of its nuclear stockpile], India's special weapons infrastructure appeared reasonably well characterized. And much the same could be said of countries ranging from Israel and Iraq The broad outlines of the facilities of Pakistan and [perhaps surprisingly] North Korea also seemed reasonably well in hand, though interesting questions remained. Iran was something of a puzzle, though whether this puzzlement reflected a well-hidden program or simply a small program remained the core of the puzzle. 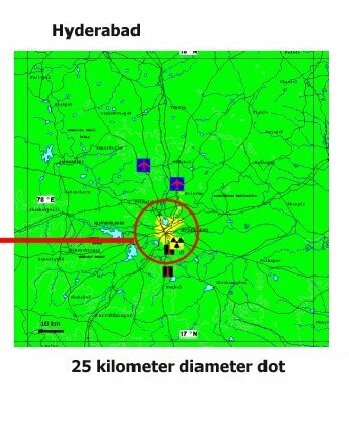 The level of completeness of coverage of nuclear weapon facilities is not matched by the coverage of facilities related to chemical weapons [which are more widely proliferated and certainly more likely to be used] nor of missile and aircraft delivery systems [which are becoming more important as at least India and Pakistan move towards weaponization]. The open literature has tended to focus on the accumulation of long lists of "suspect sites" rather than the development of a hierarchical appreciation of the most important facilities. This tendency is most pronounced with respect to Iran, but is almost universally evident. Reflecting the observational rather than experimental nature of the enterprise, the literature has tended to focus on the aggregation of reports of what is known or thought to be known about a facility, rather than what is unknown but potentially interesting about a facility. The open literature has largely contented itself with identifying the general proximity of an institution, rather than establishing the exact location of the particular facility. This geographical imprecision is at least in part an artifact of the hardcopy dissemination medium [books and magazines], in which a map of an entire country must fit on a printed page, and whole cities are reduced to mere dots on the map. As long as the dots are placed in roughly the right part of the country, the fact that each dot is dozens of miles across and may represent several distinct and widely separated facilities has been of little concern. This positional vagueness reaches virtually pathological extremes in the case of Iran, where far too many "suspect sites" are little more than place names of entirely indeterminate location somewhere in Iran. The advent of publicly available high resolution satellite imagery clarifies the extent to which the prior literature provides an adequate basis for tasking the collection of imagery, as well as novel opportunities for tasking. Nuclear material production facilities, particularly reactors, are large and readily identifiable facilities. The relatively small number of these facilities are fairly well characterized in the open literature. While satellite imagery may provide a visually compelling depiction of these facilities, at times it may prove challenging to identify first order new knowledge that may be derived from imagery. Missile test and production facilities are slightly more difficult targets, but probably present more interesting opportunities for developing new knowledge. Chemical weapon facilities remain an intriguing but largely unexplored target system. Understanding the hierarchy among facilities is essential for a resource-constrained imagery campaign. In the past, casting a wide net to capture every location [or entity] that might be associated with special weapons activities appeared an appropriate analytical response to Iraq's unexpectedly diverse infrastructure. However, pending pervasive coverage of all suspect sites, identification of the largest or most important facilities is the first order of business for public imagery intelligence. Developing "key intelligence questions" concerning a particular facility, and its known or conjectured role in the overall program, is an essential precondition for tasking. Given the evident impossibility of experimentally answering such questions, the prior literature has not concerned itself with posing the open questions associated with specific facilities. Although the literature does incidentally address some outstanding puzzles concerning some special weapons programs, this has not been done in the systematic fashion that would readily support tasking imagery collection. It is much easier to identify a facility than to identify the new knowledge that might be derived from imagery of the facility. Location, location, location - the mantra of the real estate industry, and the cry of despair of the public imagery community. The existing literature is almost entirely inadequate to the challenge of locating a particular facility with an accuracy of a few miles. High resolution satellite images typically cover an area about five miles on a side, which fortuitously is about the scale of a typical special weapons facility. But knowing that a facility of interest is "at Hyderabad" is very different from knowing exactly how many miles in which direction from the center of the city a particular institution resides, or knowing which other institutions may reside at the same location. In some cases it is simply not possible to locate a particular facility with sufficient precision to task the collection of imagery. And there is always the risk that even a slight miscalculation in the location and extent of the facility will exclude some interesting part of the facility from the collected imagery. The prior theoretical literature essentially neglects tasking, evidently assuming that this part of the public imagery intelligence cycle would prove straightforward, if indeed not entirely transparent. In practice, tasking is the most challenging [and certainly the most stressful] part of the entire process. With each newly collected image costing thousands of dollars, there is little margin for error, and self-evident incentive to ensure that each image is visually compelling and adds new knowledge to the public policy process. The challenge of tasking also presents an important opportunity. High resolution imagery promises to greatly enlarge public understanding of special weapons proliferation, both directly through imagery of specific facilities, and indirectly through the discipline imposed in the tasking process. The prior knowledge required for successful tasking provides both the requirement and the opportunity to systematize all that is knowable from collateral sources, and to rigorously contemplate what is not known but potentially knowable. We have found in practice that the exacting requirements of characterizing facilities with sufficient fidelity to establish a confident basis for tasking has in itself provided an opportunity for significantly enlarging the public literature on the special weapons programs of a number of countries. Declassified U-2 aerial imagery from the late 1950s through the early 1970s provides more restricted geographical coverage than CORONA, though with significantly superior resolution. The U-2 imagery has been provided to the National Archives without finding aids or other associated metadata, which reportedly was never created by the intelligence community, and use of this product requires manual examination of large quantities of imagery to identify areas of interest. Russian satellite imagery, typically with a resolution of two meters [though one meter coverage is expected in mid-2000] can provide extremely useful coverage of selected targets in the late 1980s and early 1990s. Some of this imagery is available through the TerraServer website, though in practice pricing and availability have thus far restricted the utility of this product to selected applications. Space Imaging's IKONOS satellite began commercial operations in January 2000. Customer requests for new imagery require a minimum order of $1,000 for a single image of a target in the United States, and $2,000 for a scene outside the United States. Space Imaging adds a 10% premium to this base price for 95% cloud-free coverage, versus the 80% cloud-free of the standard scene, and no useful purpose is served by requesting cloudy imagery [Space Imaging apparently no longer offers to collect 100% cloud-free images]. In addition to collecting new imagery in response to customer tasking, Space Imaging operates the CarTerra online browse archive that includes much [but not all] of the imagery collected by the IKONOS spacecraft. News organizations may purchase publication rights to IKONOS imagery for $500, but these images are much smaller than the standard minimum scene, and are not geo-referenced. Although this lower-priced option is available to large commercial news organizations, Space Imaging's corporate policy precludes the sale of publication rights at this price to public policy organizations. Consequently, public policy organizations wishing to use IKONOS imagery in their publications must pay a minium of $2,000 per scene. Other sources of new commercial satellite imagery may emerge before the end of 2001, with planned launches by EarthWatch, Orbital Sciences Corporation, and West Indian Space [a joint venture of Israeli and American companies]. The projected launch dates of these satellites have demonstrated persistent delays, suggesting that one [or perhaps all] of these companies will eventually decline to enter this market in competition with SpaceImaging. The declassified CORONA imagery remains curiously underutilized, although it is a treasure trove of data. The public policy community has generally been eager to mine the riches of newly declassified documents, but has been almost completely indifferent to the declassified CORONA and U-2 imagery archives. This must be due in no small part to the physical challenges associated with "collecting" this imagery. The standard procedures for ordering CORONA imagery from the US government yield a product with a resolution visibly lower than the advertised two meters. Direct reproduction at the archives yields a far more satisfactory product, but considerable effort and some talent is required to master this technique. Collection of declassified U-2 imagery is further complicated by the present absence of finding aids to assist in locating imagery of interest. The prior literature on commercial high resolution satellite imagery largely focused on the fact that the digital cameras on such satellites can relay images to the ground within minutes after acquiring the image. It was implicitly assumed that, to the first approximation, this physical possibility would translate into a system attribute that closely matched the reported near-realtime coverage of classified imagery intelligence satellite systems. In principle, the Space Imaging IKONOS system is capable of collecting imagery on a near realtime basis, with a demonstrated collection cycle from tasking to delivery as short as a few days. In practice, simply placing and confirming the placement of a collection order can stretch over several days [and careful attention is required to comply with Space Imaging's use of decimal degrees, rather than degrees and minutes, to specify the area of interest] The advertised 30-day collection window represents a realistic projection of the typical time required to fulfill an order. If Space Imaging is unable to collect the requested image within the initial 30-day collection period, whether due to cloud cover or conflicting collection priorities, another 30-day collection effort is made. Although Space Imaging presumably anticipates cloud cover in planning collection attempts, the abundance of extremely cloudy imagery in the company's browse archive suggests that this attribute of the system remains at best incompletely implemented. Users conditioned by the world-class customer service interface provided by Federal Express or Dell Computers will find the Space Imaging order fulfillment process distressingly opaque, providing essentially no insight into the status of a collection request between the time the order is confirmed and the time the nicely packaged CDROM with the image arrives [via Federal Express]. The modalities by which the Space Imaging collection management system prioritizes collection attempts remains entirely opaque. Presumably, collection is constrained by the throughput capacity of the data recorders on the spacecraft and downlink bandwidth limits at ground stations, but the maximum theoretical daily output of the system remains undisclosed. Anecdotal evidence suggests that Space Imaging gives some priority in collection attempts to larger customers, although the extent and impact of this prioritization on smaller customers remains opaque. The simple expectation that Space Imaging would regard each request for collection of a scene with equal priority, much as Federal Express gives equal priority to all packages, would seem without foundation. Realistic customer expectations are also an important attribute of ordering archival IKONOS imagery. The "best of breed" standard is unavoidably the TerraServer online browse archive, in which it is possible to preview full resolution imagery, purchase the imagery online, and pull the requested scene from a server within a few minutes after making the purchase. Space Imaging's existing CarTerra browse archive has a variety of annoying features, which do not merit enumeration since a significantly improved version is said to be impending. However, once imagery is selected from the archive, the customer is confronted with a manual ordering process, the normal opaque order fulfillment status, and what realistically appears to be a waiting period of one to two weeks for delivery. The available browse imagery is sub-sampled to about 15 meter resolution, which renders purchasing imagery of "suspect sites" a risky speculation. But the fact that the IKONOS sub-sampled browse imagery has a resolution comparable to the full resolution imagery from medium resolution systems such as LANDSAT renders even this browse imagery an interesting product in its own right [particularly given the price]. The fact of the existence of the CarTerra browse archive is a two-edged sword for the public policy community. On the one hand, the archive permits relatively rapid and predictable acquisition of imagery. On the other hand, Space Imaging customers do not enjoy the exclusive rights to imagery that are the normal expectation of principle investigators associated with NASA's scientific spacecraft. Although the exact latency remains opaque [as with many other attributes of Space Imaging's operation], a prudent customer should assume that any imagery, once collected, will find its way into the publicly accessible browse archive on a time-scale of days rather than weeks. That is, one cannot evidently exclude the possibility of being "scooped" by an enterprising competitor. The browse archive also has additional implications for the dissemination stage of the intelligence cycle. Prior to the actual advent of commercial high resolution imagery, it was evidently assumed that imagery exploitation would pose the greatest challenges to the public policy community. In practice it appears that photographic interpretation is probably the least challenging stage of the public imagery intelligence cycle.. Evidence to sustain the anticipation of the challenges of photo-interpretation was readily available in the various instances in which medium-resolution SPOT or LANDSAT imagery had been grossly mis-interpreted. Given the coarse resolution of this imagery, there were ample opportunities for failing to identify outstanding features of a particular structure, or mis-identifying specific structures at an installation, or completely mis-identifying an entire installation. These opportunities for sins of omission or commission were not always avoided by the practitioners of the day. With the benefit of one-meter resolution hindsight, it is evident that one carefully annotated SPOT image -- published in a well-known magazine as depicting the North Korean Nodong missile test facility -- was in fact an image of a nearby port, with all of the detailed annotation entirely in error. The advent of high resolution imagery would appear to greatly reduce the dangers of such first order cases of mistaken identity. In the past, with medium resolution imagery it was frequently difficult to reliably detect even large buildings, and identification and characterization of much beyond the overall layout of a facility was simply beyond the potential of this imagery. The transition from ten-meter to one-meter resolution imagery produces not a ten-fold but rather a hundred-fold improvement in interpretability, replacing a single ten-meter pixel with a hundred one-meter pixels. There are evidently a variety of opportunities for imagery exploitation errors, though these hazards are not peculiar to the public imagery exploitation community. Intelligence analysts working with classified imagery long ago repaired to statements of estimative probability to qualify the level of confidence in assessment or interpretation, with gradations of confidence ranging from "possible" to "probable" to "almost certain" to "certain." Gross mis-identification of a facility or location -- mis-interpreting an image of a port as an image of a missile test facility -- represents a failure in the tasking process, which would almost certainly be corrected once the actual image is collected and evaluated. We have already experienced instances in which we have misjudged the extent of a facility or even the nature of a particular location, but in each case these mistakes were immediately apparent within minutes of evaluating the full resolution imagery. Poorly characterized and imprecisely located facilities will continue to represent opportunities for spending money on imagery devoid of interesting features, but with one-meter imagery it is unlikely that facilities will be grossly mis-identified. Mis-identification of the borders of a particular entity or institution within an image or facility remains an abiding problem. In some cases -- such as nuclear reactors -- facilities of interest will have unique functionally related observable differences that readily differentiate them from their surroundings. Clear identification of a facility is simplified by the presence of a visible security perimeter, which may be complemented by vegetation anomalies of darker vegetation cover within the security perimeter. In other cases -- such as North Korean missile production facilities -- distinctive structures and defining security perimeters may be largely or entirely absent. 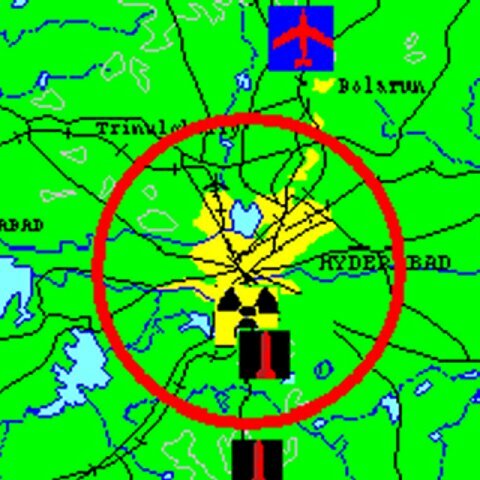 The Defense Research Complex south of Hyderabad in India presented the opposite challenge - a clearly defined security perimeter evidently encompassed several different entities, some of which were more probably associated with specific buildings than others. Mis-identification of a specific structure or feature in a facility is probably the failure that will eventually prove most embarrassing, as it is certainly the type of failure most commonly associated with public imagery analysis. Careful attention to interpretation keys derived from comparable structures at better characterized facilities, recourse to appropriate caveats of estimative probability, as well as general care to avoid the temptations of over-interpretation, will reduce the hazards of such mis-interpretation. Neglecting to identify a significant structure at a facility is a hazard that unavoidably follows from taking care not to mis-identify structures through over-interpretation. We have already experienced more than one instance in which the most interesting features discovered in a new image were not disclosed until careful examination of an image which at first glance had seemed rather unremarkable. Public imagery intelligence faces the same limitations that confront the classified intelligence community. Imaging satellites cannot see through roof-tops into the interiors of buildings, nor can it peer into underground bunkers. By definition, imagery has never detected anything that has been successfully hidden, and it is widely reported that some countries have engaged in extensive concealment and deception programs. Upon reflection, it will be equally evident that public imagery intelligence -- using limited quantities of one-meter resolution imagery supported by limited collateral information from open sources -- faces many additional challenges. The classified intelligence community works with prodigious quantities of much higher resolution imagery supported by equally prodigious quantities of intelligence derived from other sources. Practitioners of classified intelligence, and the consumers of their products, will correctly observe that a public imagery intelligence enterprise funded to the tune of hundreds of thousands of dollars a year cannot pretend to match the classified imagery community, funded at nearly ten billion dollars annually. It would mis-understand the nature of the public imagery intelligence enterprise, however, to extend this critique to suggest that the public imagery community is "practicing photo-interpretation without a license." Some specialized photo-interpreters within the classified community routinely use a variety of tools and techniques that are for the present beyond the scope of public imagery analysts. While stereo-pairs are the stock in trade of those engaged in target mensuration, public imagery analysts count themselves lucky to have a single image of a target, and would almost always opt for a new image of a new target, rather than a second image of an existing target to permit stereo viewing in three dimensions. For the foreseeable future, the expense of the specialized hardware and software needed for viewing softcopy stereo-pairs is unlikely to find its way into the constrained budgets of public imagery enterprises. All public imagery practitioners stand humbly before the skilled practitioners in the classified community, learning the tricks of the trade as the opportunities present themselves. As with the early practitioners in the classified community, the Public Eye initiative has devoted considerable resources to obtaining imagery of well-characterized American facilities to assist in the interpretation of new commercial imagery of facilities in other countries. And noting the decision of the National Imagery and Mapping Agency to migrate to the ERDAS Imagine software as the standard exploitation environment, the Public Eye initiative has taken up the challenge of using this same software. But it is important to remember that while photo-interpretation is an art, a skill, a trade, and a craft, it is not a profession in the sense that the law or medicine is a profession. It makes no more sense to speak of "practicing photo-interpretation without a license" than it would to speak of practicing journalism or photography without a license. The craft of photo-interpretation within the American classified intelligence community has evolved over many decades, in response to specific requirements and opportunities. Many skills that are highly prized within this community, such as the ability to consistently assign National Imagery Interpretability Rating Scale grades to imagery, or to rapidly exploit large numbers of images using the IDEX workstation, are simply of no relevance to the public imagery community. Like the individual who had been speaking prose for a lifetime without knowing it, all human beings blessed with the gift of sight begin practicing some rude form of photo-interpretation at a rather early age. Television and illustrated print publications are all predicated on the ability of their audience to engage in some rudiments of photo-interpretation, and the window-seats of airplanes are routinely occupied by amateur photo-interpreters of various stripes. The public imagery community is in the process of defining the skills and talents required for imagery exploitation under the conditions that are peculiar to public imagery. In the longer run, it may be anticipated that these skills and practices may become rather widely diffused throughout the public policy community, to the point that public policy analysts may routinely use satellite imagery as they presently use graphics from various other sources. This process of diffusion may take some time. Even the most rudimentary image manipulation software that might be used with non-georeferenced JPEGs, such as Paintshop, can require months of patient practice to master. And this basic capability is evidently within the received skills set of only a minority of public policy analysts. The more complicated [and vastly more expensive] software such as ERDAS Imagine, which is essential for exploitation of the fully geo-referenced images that are the stock in trade of more sophisticated exploitation, will remain the domain of public imagery specialists for the foreseeable future. The combination of global information distribution via the internet with global information acquisition via satellite imagery provides an entirely new context for public awareness and knowledge of a wide range of important issues, including the proliferation of weapons of mass destruction. The advent of high-resolution imagery has occurred nearly simultaneously with the pervasive emergence of the internet as an important medium of global communications. This has enabled a strong synergy between using mass media communications to create broad awareness of the fact of the existence of new imagery and analysis, and using the website to allow a worldwide audience to immediately access the full content briefly summarized in mass media coverage. Online release of high resolution satellite imagery, along with associated analysis, has proven extremely attractive to our online audience. The 11 January 2000 release of imagery of North Korean missile facilities produced a 50% increase in website traffic, yielding an additional half-million page views over our baseline of a million pageviews each week. The total data transfer of 75 gigabytes doubled the previous week's baseline figure. The 15 March 2000 release of imagery of Indian and Pakistani special weapons facilities yielded an additional three-quarters of a million pageviews for the week, a 75% increase over our baseline website traffic, with a total data transfer of 87 gigabytes. The 12 May 2000 release of imagery of Chinese airfields, and associated analysis of the Taiwan Strait military balance, doubled our website traffic to over 2,000,000 pageviews with a total data transfer of 155 gigabytes. Significantly, this included over 300,000 file requests from both Japan and Taiwan, and over 200,000 requests from China. The 16 May 2000 release of additional imagery of Indian and Pakistani special weapons facilities also yielded an additional million pageviews for the week, again doubling our website traffic, and producing a total data transfer for the week of 128 gigabytes. Although direct comparison is difficult, it must be evident that the internet has facilitated the direct dissemination of imagery and imagery-derived analysis to an audience that would have been inconceivable by traditional hardcopy means. This high level of online visibility is due in no small measure to the intense interest shown by the mass media in high resolution satellite imagery. 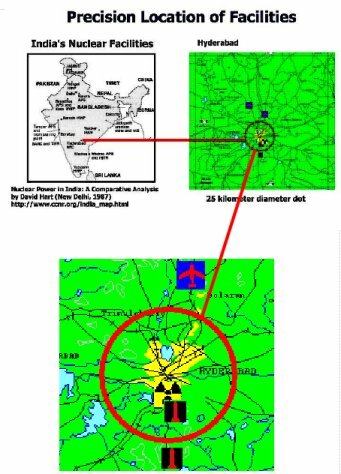 The 11 January 2000 North Korean missile base release generated over a dozen separate stories in print and broadcast media, 15 March 2000 India-Pakistan release generated over three dozen stories, the 12 May 2000 Chinese airfield release generated nearly two dozen stories, while the second India-Pakistan release on 16 May generated nearly a dozen stories. Coverage has included articles in all major daily newspapers, consistent wire service reporting, broadcast news coverage, and multiple appearances on CNN. High resolution satellite imagery has a demonstrated capacity to make news in a highly cost effective fashion. An aggressively promoted pro-active news event will typically cost approximately $10,000 simply in promotion costs alone, though this expenditure cannot guarantee significant coverage in the absence of intrinsic news interest. Some multiple of this expenditure may be required in the development of an analytical report of sufficient magnitude and heft to generate significant news coverage. Dissemination of imagery and derivative analysis has posed unique and unanticipated challenges. In practice, public presentations of imagery have proven far more effective when conducted with computer projection screens and powerpoint slides, than when conducted using briefing boards alone. Not all facilities are equipped with the essential computer projection equipment, and presentations in such "computationally-challenged" environments have proven somewhat disappointing. However, large format briefing charts featuring enlargements of key images are an essential component of any briefing, and the physical production of these briefing boards has proven peculiarly challenging. Readily available commercial services do not provide an economical product that meets the demanding reprographic standards of faithfully replicating the detail and depth of available imagery. While these details of implementation may seem trivial in the larger scheme of things, in practice they consume a surprising amount of time and attention. Although not every satellite image contains a headline, and results may vary with the timing of the "news hole," initial results suggest that newsworthy satellite imagery can consistently generate mass media coverage at a cost that is a very attractive alternative to traditional pro-active media efforts. High resolution satellite imagery provides an important opportunity for the public policy community to make news, rather than simply shape news. Public policy organizations, at least in the peace and security arena, are generally in the business of reactively shaping the interpretation of news events, rather than pro-actively creating news events. The news production process is populated by news-makers, such as senior government officials and elected politicians, who pro-actively make news, and by a variety of other opinion leaders, who re-actively shape the news made by others. While environmental or human rights organizations may make news with some regularity, the core national security arena is densely populated with official news makers, who generate a profusion of official news that almost always overwhelms the news-making potential of the non-governmental sector. While non-governmental actors in the peace and security community may from time to time pro-actively make news, this community is normally relegated to responding to the news made by others. Even reactive news shaping is a challenging task, and as a consequence most peace and security non-governmental organizations simply lack a significant presence in the mass media. And a keen understanding of the dynamics of the news production process, honed by experience with reactive news shaping, is probably an important ingredient in successful use of satellite imagery for pro-active news making. News is not "made" in isolation, even by the most visible official news makers. News, at least of the public policy flavor, it almost always made in connection with some impending event or decision, seeking to shape or influence the course or significance of the event. The release of imagery of Pakistan's special weapons facilities a week prior to the President's trip to Pakistan was vastly more newsworthy than it would have been a week after his return from Pakistan. High resolution satellite imagery has a profound potential for enabling the peace and security community to make news, because it gives non-governmental organizations the capacity to introduce new facts into the public policy debate. The relatively modest efforts to date clearly demonstrate that the knowledge and insights that can be derived from satellite imagery hold the promise of a profound extension of public knowledge in the domain of special weapons proliferation and related national security fields. It is increasingly evident that publicly available and officially released information on topics such as the status of the nuclear and missile programs of countries such as North Korea, India or Pakistan is trivial compared to that which is known by the US Government, or that which is knowable via commercially available satellite imagery. It is probably the case that at least some of the public interest, and certainly some of the mass media interest, in satellite imagery derives simply from the novelty value of this unprecedented product. As this novelty value declines, it may be expected that some public and media interest with also decline. It is also most certainly the case that the US Government, beginning with the Cuban Missile Crisis, has consistently made news through the selective release of reconnaissance imagery. This news-making power is now within the grasp of the public policy community.